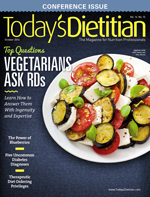 Experts provide guidance on vitamin D supplementation for older adults. The American Geriatrics Society (AGS) recently released the consensus statement “Vitamin D for Prevention of Falls and Their Consequences in Older Adults.” The publication provides clinical guidance for the use of vitamin D supplements, with or without calcium, in older patients for the prevention of falls and fractures. This information is essential for all providers furnishing health care for older adults, including primary care physicians, internists, geriatricians, nurse practitioners, and dietitians. As a member of the workgroup, I took the opportunity to pose questions to other committee members to highlight the report and recommendations that should be incorporated into clinical practice. Q: Why was the Centers for Disease Control and Prevention (CDC) interested in evaluating vitamin D’s role in falls and fall-related injuries in older adults? Leonard Paulozzi, MD, MPH, CDC Injury Center: Falls are the leading cause of injury mortality and morbidity among Americans over the age of 65. Each year, one-third of people over the age of 65 living in the community and up to one-half of nursing home residents experience a fall. According to our data, fall injuries among older adults resulted in 16,650 deaths and 1.8 million emergency department visits in the United States in 2006—a rate of five emergency department visits per year for every 100 people aged 65 and older. The direct medical costs of falls among older adults were estimated at $19.2 billion in 2000. Fall mortality rates among people over the age of 65 have been rising in the United States since 1992. In the past 15 years, evidence has been accumulating that supplementing current dietary intake and sun exposure with daily vitamin D can significantly reduce the number of falls and the consequences of falls such as fractures. The National Institutes of Health convened a conference in 2007, “Vitamin D and Health in the 21st Century,” which presented an evidence-based review of the efficacy of vitamin D supplementation in preventing adverse outcomes. A commissioned meta-analysis of clinical trials of daily supplements of 700 to 800 IU of vitamin D plus calcium found a significant benefit in reducing fractures. Another meta-analysis of vitamin D with or without calcium also found a significant benefit in reducing falls. In 2008, the Institute of Medicine (IOM) had begun reassessing the dietary reference intake for vitamin D, last updated in 1997. Its report was due in 2010. In the interim, however, no medical societies had published recommendations for practitioners regarding vitamin D supplementation specifically related to preventing falls and fractures among older adults. Therefore, the National Center for Injury Prevention and Control of the CDC decided to fund the AGS to convene an expert panel in 2009 to arrive at consensus recommendations on supplemental vitamin D for providers who care for older Americans. Q: Why was the AGS interested in evaluating vitamin D and falls in the elderly? James E. Judge, MD, chair of the work group committee: The CDC contacted the AGS seeking a review of the impact of vitamin D in preventing falls and fall-related injuries in the elderly. The AGS recognized an important opportunity to contribute to the conversation about reducing falls in the elderly, with a focus on vitamin D.
The committee was composed of both basic and clinical scientists expert in vitamin D and geriatricians with clinical research and clinical experience related to falls and/or vitamin D. The CDC and the AGS committee recognized that in the near future, there would be no massive study that could answer all the questions about the magnitude of protection that adequate vitamin D supplementation would provide to healthy elderly and frail elderly. In the meantime, the committee worked to help practitioners provide good advice to their patients who are likely to fall and sustain injuries in the next several years. There’s an urgency here. Q: Why was the blood level for 25-hydroxy vitamin D [25(OH)D] targeted at 30 ng/mL (75 nmol/L)? Judge: The committee agreed that there was enough evidence that higher-level supplementation doses of vitamin D used in trials had reduced falls. In addition, serum concentrations < 30 ng/mL (<75 nmol/L) have been associated with balance problems, impaired lower extremity function, higher fall rates, lower bone mineral density, and muscle weakness. In studies in which subjects had average serum 25(OH)D levels greater than 30 ng/mL (75 nmol/L), falls and fracture rates were significantly reduced. The impact on fractures is most likely due to the reduction in falls. In older adults, the impact of vitamin D on bone density is very small, while the impact on falls is measurable. For the population of older adults, a total average daily intake from all sources (diet, supplement, and sunlight) of 4,000 IU will ensure that more than 90% of the population will achieve serum 25(OH)D levels of 30 ng/mL. This is the serum level that will maximize the protection from falls and fractures that vitamin D can provide. The committee agreed with the IOM report that an average daily intake of 4,000 IU of vitamin D is safe. Q: Why are the recommendations for vitamin D made by the AGS different from those of the IOM? F. Michael Gloth III, MD, Johns Hopkins University: Based on calculations from the IOM’s 2011 publication Dietary Reference Intakes for Calcium and Vitamin D’s Dose Response Estimates, only about one-half of adults over the age of 71 will achieve a 25(OH)D blood level of 30 ng/mL (75 nmol/L) with a daily supplement of 1,000 IU. The AGS guidelines take into account the increased risk of falls and fractures, and the clinical reality of less compliance than would be traditionally found in research study environments. Using a goal of achieving the 30 ng/mL level in more than 90% of the population, the higher vitamin D recommendations from the AGS make sense. The recommendations are actually quite consistent with the IOM, however. In fact, some of the recommendations from the AGS come from information in the IOM report. The safety of the recommendation of 4,000 IU per day is consistent with the IOM, and the overall input from all sources (sunlight, diet, etc) is, in part, calculated from the same data presented in the IOM report. Q: Why are vitamin D supplements recommended as the source of vitamin D for older patients? Judge: Other sources are insufficient. Production of vitamin D by the skin when exposed to sunlight becomes significantly less efficient with advancing age. Most Americans report dietary intake of 150 to 225 vitamin D units daily, with the majority coming from fortified dairy products. Salmon, tuna, mackerel, sardines, and shiitake mushrooms provide approximately 200 IU per serving. Milk products and fortified yogurts provide approximately 100 IU per 8-oz serving. Q: How should vitamin D supplements be taken? Judge: Vitamin D supplementation weekly, biweekly, and monthly is OK. However, due to the different pharmacokinetic profiles of vitamin D2 and vitamin D3, clinicians should recommend vitamin D3 supplementation intervals of four months or less and vitamin D2 supplementation intervals of 14 days or less. Understanding your patient’s preferences will help you provide a dosing strategy he or she can sustain. For most older adults who want to minimize the number of daily or weekly pills, taking vitamin D supplements once per month may keep them on a schedule to which they can better adhere. To maximize absorption, the vitamin D supplements should be taken with meals that provide some fat or oils. Understanding your patient’s preferences will help you provide a dosing strategy they can sustain. Q: Should vitamin D levels be monitored with supplementation? Judge: Clinicians generally don’t need to measure vitamin D levels in patients receiving adequate supplementation. The exceptions are patients who are obese, defined as having a body mass index higher than 30 kg/m2; have malabsorption syndromes; and/or patients who use medications that either bind vitamin D in the gut or accelerate the breakdown of vitamin D. These medications include cholestyramine and inducers of the cytochrome P450 pathway, such as phenytoin and phenobarbital. We know that obese individuals have lower vitamin D levels and will need more supplementation. Deeper pigmentation is associated with lower vitamin D levels, but there’s evolving information that vitamin D levels in African Americans may not reflect the bioavailability of vitamin D. Also vitamin D levels in the late summer and fall are higher. Our best estimate is that the seasonal variation in total vitamin D generation from sunlight is roughly 1,000 IU/day. A table on page 22 of the AGS statement can help clinicians determine which patients are in need of higher supplement doses and how they easily can determine how much they need based on dietary, sunlight, and supplement exposure. Q: If clinicians choose to monitor 25(OH)D blood levels, why is the minimum four-month interval recommended? Bruce W. Hollis, PhD, Medical University of South Carolina: That’s because on any given dose, it takes three to four months for the 25(OH)D to stabilize in the circulation. That level is unlikely to significantly change if that dose is maintained. Q: What is your advice to clinicians about vitamin D in care of their older patients? Gloth: The best advice is to recognize that most seniors will need supplementation with vitamin D. Sunlight exposure and diet alone will be inadequate to maintain needed stores of vitamin D in this population. Recognizing the high prevalence of vitamin D deficiency, obtaining initial vitamin D levels is unnecessary. Given the clear safety of a total input of 4,000 IU of vitamin D daily, one can feel very comfortable in recommending supplementation at or near that level after discussing sunlight exposure and diet. Since intermittent (for example, monthly) dosing is very acceptable in amounts that will translate to recommended daily dosing, clinicians will want to be sure to use vitamin D3 if dosing is going to extend beyond a two-week period. Q: What is your advice to clinicians about vitamin D in caring for patients in long term care facilities? Douglas P. Kiel, MD, MPH, Harvard Medical School: Long term care residents typically have a limited vitamin D intake from all sources. Diets often aren’t rich in dairy or oily fish; residents don’t get adequate sun exposure, especially in northern latitudes; and even supplementation may be inadequate. For these reasons, vitamin D insufficiency is quite prevalent. The AGS vitamin D report specifically targets the elderly population, including long term care residents. This is in contrast to all other clinical guidelines or public health level guidelines such as the IOM report. The AGS report recommends that all long term care residents be evaluated for their sources of vitamin D intake from sun, diet, and supplements. At least 1,000 IU is recommended, and in cases where the dietary and sun-based intakes are low, it’s reasonable to increase the supplement dose to as high as 4,000 IU/day. There’s little or no toxicity at these levels of supplementation, and the cost is negligible. Data currently suggest that vitamin D prevents falls in long term care residents, especially those who are likely to be deficient. • Muscle weakness, loss of bone strength, and falls and fractures may occur in association with low vitamin D levels. • A reduction in fracture risk linked to vitamin D levels in older adults is most likely due to a reduction in the risk of falls. The effect on falls is measurable, whereas the effect on bone density is very small. • Vitamin D levels of approximately 30 ng/mL appear to protect against fall-related injuries, as studies have shown a significant reduction in fall and fracture risks with average serum levels of more than 25 ng/mL. • Total average daily intake of vitamin D from all sources (dietary, sunlight, and supplements) of 4,000 IU will ensure that 90% of older adults will have serum 25-hydroxy vitamin D levels of 30 ng/mL. • Daily vitamin D supplementation of 1,000 IU will achieve recommended vitamin D levels in only one-half of older adults. • Daily supplementation with 4,000 IU of vitamin D is safe and nontoxic, according to the Institute of Medicine, which also provides dose-response calculations to determine the total vitamin D intake that would achieve recommended serum levels in at least 92% of older adults. • Patients given adequate supplementation generally don’t need to undergo vitamin D level measurement. However, vitamin D levels should be measured in patients who are obese (BMI > 30 kg/m2), have malabsorption syndromes, and/or use medications that either bind vitamin D in the gut or accelerate vitamin D breakdown (eg, cholestyramine, phenytoin, phenobarbital). • Review the American Geriatrics Society consensus report and the vitamin D dose-response curve indicating that 1,000 IU of daily supplements will achieve recommended vitamin D levels in only one-half of older adults, and that substantially higher doses are needed to achieve these levels in more than 90% of patients. • Review your older patients’ vitamin D intake from dietary, sunlight, and supplement sources and discuss strategies to achieve a total vitamin D input of 4,000 IU/day. • Discuss strategies for adequate vitamin D and calcium supplementation with your older patients and their caregivers. Available evidence doesn’t support a recommendation for increased vitamin D supplementation without calcium for older people. Supplemental calcium doses in most studies range between 500 mg and 1,200 mg daily. Remember to count patients’ calcium from food intake to determine supplemental calcium dose. • Help your patients and their caregivers choose the vitamin D and calcium supplementation schedule they’re most likely to follow. Various vitamin D supplements may be taken daily, weekly, or monthly, and different combinations of calcium and vitamin D supplements are available.